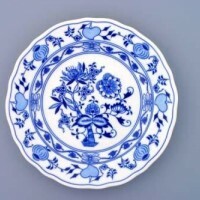 Fruit-based porcelain is popular across the age spectrum. Fruit decorated with warm and cheerful colors. 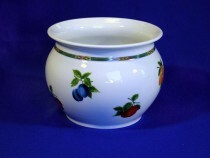 Fruit-based porcelain is suitable for both new and traditional households. 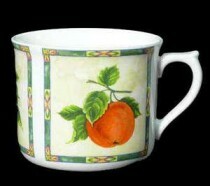 For porcelain with fruit we use two product lines and porcelain Bernadotte and porcelain Mary Anne. 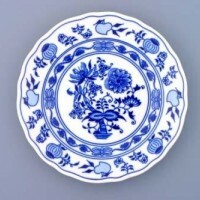 Porcelain Bernadotte fruit uses six fruit motifs and decorative gilded lines, so it is not suitable for dishwashers and microwaves. 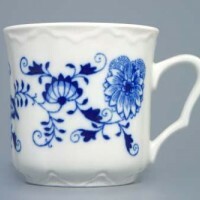 Bernadotte's fruit-based porcelain charm is sought after rather in the traditional household type. 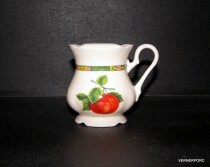 Porcelain Mary Anne is made up of a picture of apples, felt and apricots. 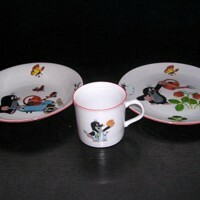 It uses a decorative green line and this porcelain is suitable for both dishwashing and microwave use. 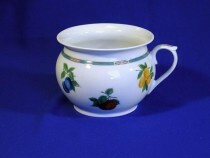 Mary Anne, a fruit-based porcelain, addresses a wide range of customers, commonly used in traditional and more modern types of households. 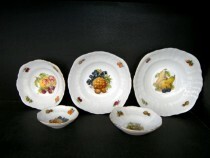 Concordia Bernadotte fruit compote set 7 piece. 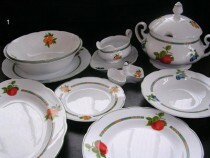 Leander Loučky Mary Anne 80H dining set 27 piece. 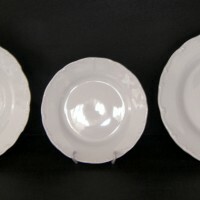 Leander Loučky Set of plates Mary Anne 80H white 18pcs. 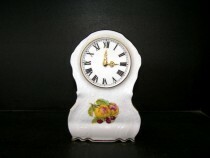 Leander Loučky Mary Anne 80H cake set 7 pieces, white. 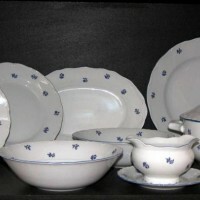 Český porcelán 18 piece set of dishes, decor fruit, ivory. 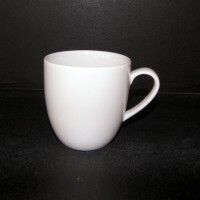 Concordia Mug Jonas 0,33l. 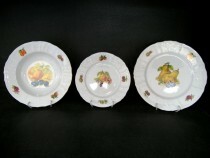 fruit decor 6pcs. 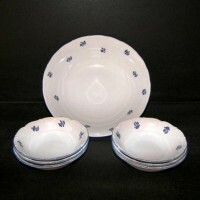 Leander Loučky 80H Breakfast Bowl Set, Porcelain Fruit 3 Pcs. 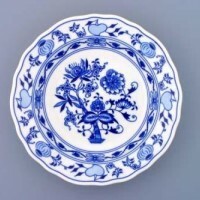 Leander Loučky Big salad bowl 80H, porcelain fruit. 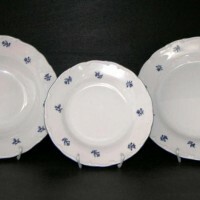 Leander Loučky Tea service Mary Anne 80H, white. 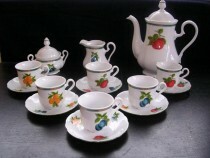 Leander Loučky COFFEE SET MARY ANNE 80H 15pcs. 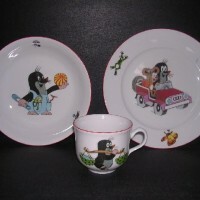 Leander Loučky Friendly Teresa 80H set 3pcs. 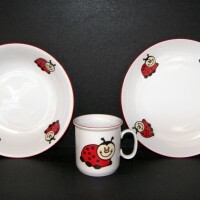 Concordia SALAD SET BERNADOTTE FRUITS 5pcs. 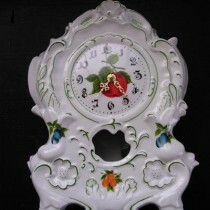 Concordia Hours fireplace Bernadotte Fruit 20cm. 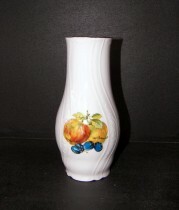 Concordia VASE BERNADOTTE FRUITS 19cm. 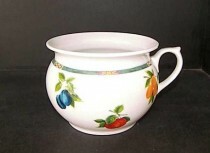 Leander Loučky 80H Night vase with handle 17.5 cm. 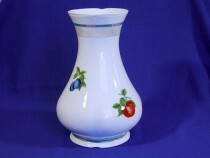 Leander Loučky Mary Anne slender vase 80H 15 cm. 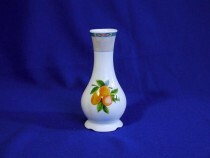 Leander Loučky Vase giant Mary Anne 80H 32 cm. 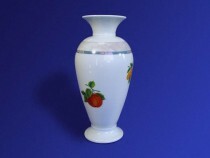 Leander Loučky Vase 80H 31 cm.